Israeli Prime Minister Benjamin Netanyahu attends the official reception on the occasion of the opening of the US Embassy at ?the Ministry of Foreign Affairs in Jerusalem, on May 13, 2018. “It’s the right thing to do,” a smiling Netanyahu told the jubilant crowd. So Israel’s U.S. embassy is where it belongs: Jerusalem, Israel’s eternal capital. It took its sweet time getting there, but, thanks to the last person on Earth most Americans want to credit for any foreign-affairs success, Donald Trump, there it is. Mazel tov. The usual suspects are bruiting their dismay and/or outrage, convinced that the embassy gambit will act as a provocation to the Palestinians and an obstacle to the “peace process.” Except there has been no peace process for years (arguably never on the Palestinian end), and everything Israel does in its own interest is seen as a provocation to Palestinians — or rather to Palestinian spokespeople. Palestinians themselves seem on the whole pretty sanguine about this development. For times have changed. As the years go by, and a new generation of Palestinians considers the lay of the land politically, realism has taken hold of most of them. Realism demands the admission that Israel, now 70 years old, is not only the most stable country in the region, but the most united, prosperous and powerful — and there to stay. In 1951, the first State of Israel Bonds were issued with the hope of raising $25 million. They raised $50m. Those first investors thought it would be a miracle if they were repaid. They were. Today annual sales top $1 billion. Nobody with eyes to see — except a few thousand hysterical Hamas-goosed Gazans — really believes Israel can be overcome by brute Arab force, even combined brute force of the kind that was supposed to take Israel out in 1967, and spectacularly failed. And that was when Israel was much weaker militarily by comparison to today. And that was when the Palestinians were useful to neighbouring Arab countries as an Israel-bashing club on the world stage. That’s over, except for sporadic public hissy fits to appease the diehards dreaming of a “return” that is not going to happen. Egypt, Iraq, Syria, Lebanon, Saudi Arabia: they have bigger fish to fry than politically superannuated Palestinian revanchism. Internal power struggles, terrorism, war. Iran’s malevolent shadow looming large. 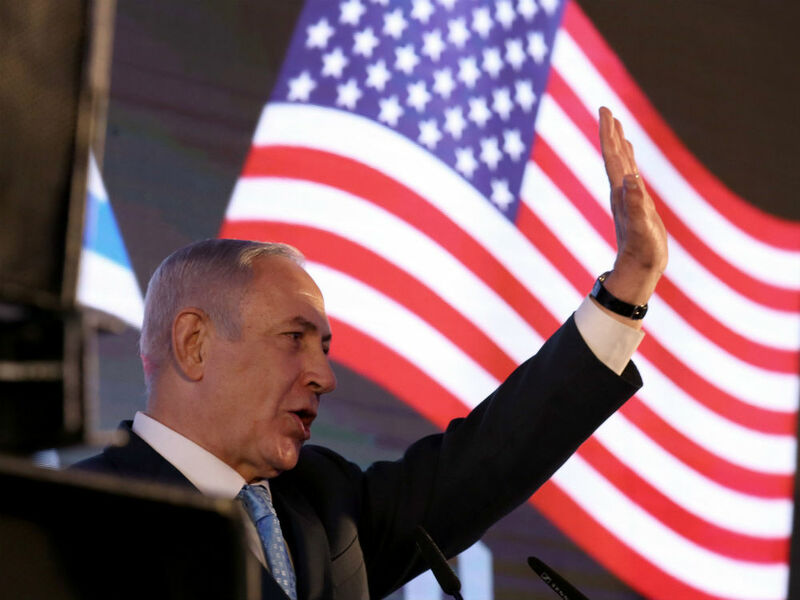 With America’s support, which it now has, Israel is the only player in the region capable of curbing Iran’s nuclear ambitions, and perhaps even fomenting conditions conducive to regime change from within. Harper looks great and seemed to enjoy himself, as who wouldn’t, bathed in that large and friendly audience’s affection and nostalgia. He started funny (he said he chose politics because “I didn’t have the charisma to be an accountant”), but soon got serious. He ticked all the right boxes for the occasion: his family’s longstanding philosemitism, his early and continuing appreciation for Israel’s achievements and Israel’s unequivocal right to good standing in the family of nations. Harper indicted Iran as the “greatest threat to peace in the world today,” emphasizing Israel’s role as the linchpin for stability in the region and the West’s front line on jihadism. He scoffed at the idea of Canada offering honest brokership for the two-state solution, given that the Palestinians’ idea of two states is one Arab state (presently a Jewish state) that agrees to tolerate Jews’ existence and one Arab state in which Jews have been ethnically cleansed. Harper did not stint his praise of Donald Trump for righting a long wrong in moving the embassy. The question naturally arose as to why Harper had not moved the Canadian embassy to Jerusalem when he had the power to do so. His answer, that for Canada to do so alone at that time, could have endangered Canadian lives, made sense. Now that the U.S. has paved the way, though, he said, “it is easy for Canada to do it,” and “it is right for Canada to do it.” But that is not going to happen until the Conservatives return to power. Harper didn’t say that. He didn’t have to.